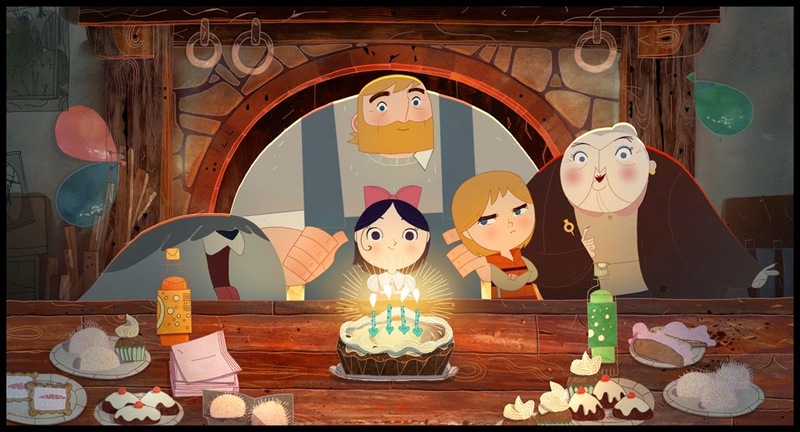 Song of the Sea is director Tomm Moore's follow-up to his first feature, The Secret of Kells. Once again, he delves into Irish culture for his subject, this time with the legends of Selkies, humans who are able to turn into seals. 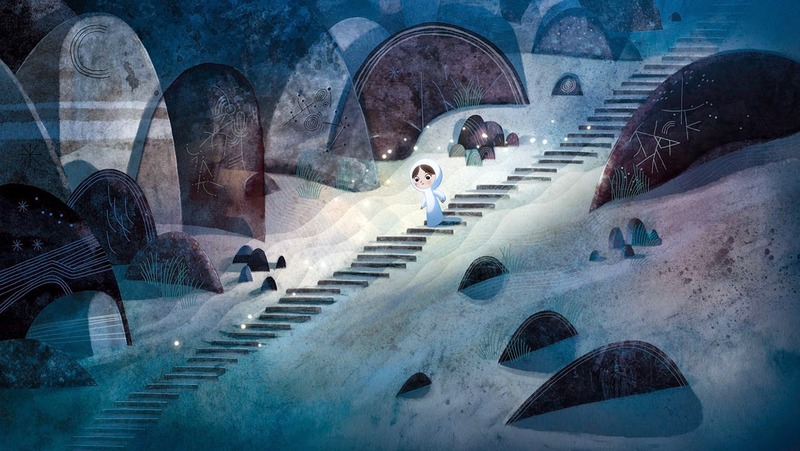 Song of the Sea is one of the most beautiful animated features ever made. While the recent flood of cgi features all start with brilliant pre-production artwork seen in dozens of "The Art of" books, the films themselves homogenize that art into a faux--'50s Disney style. 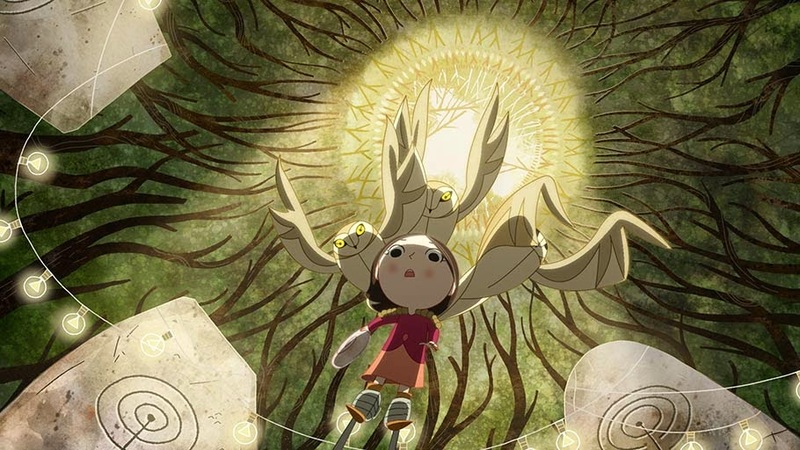 Because the techniques used to create pre-production art for Song of the Sea are consistent with the techniques used to make the final images on screen, the film is able to take advantage of its foundational art in ways that cgi features either can't or won't. 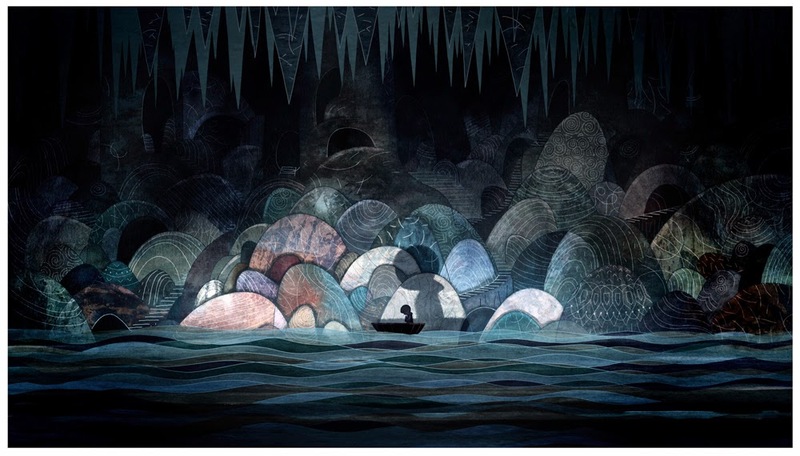 Each shot of Song of the Sea is worthy of framing. 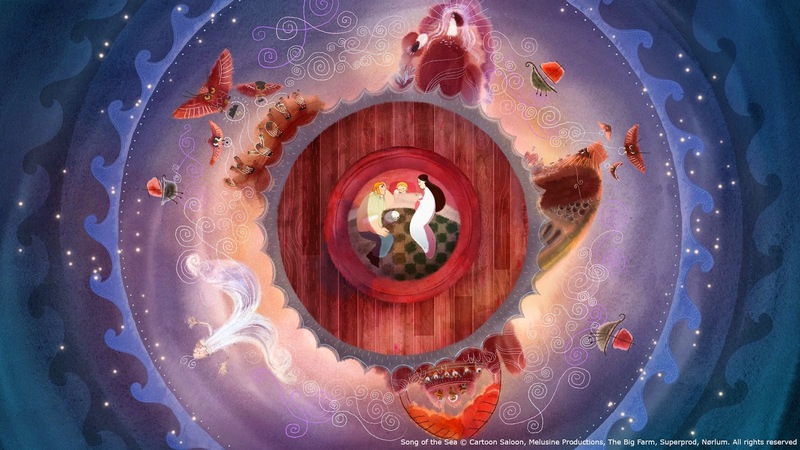 The story resembles The Tale of Princess Kaguya in many ways. Both films are about mystical creatures living in human families and the members of those families are insensitive, thinking they know best for everyone else. In both films, the conflict arises from people's blindness rather than from stock villains. The Irish mythology is a little thick. It may be that the writers took in this mythology with mother's milk and it's second nature to them, but the film's two main stories are not tied together as clearly as they might be. One story is that of a family where the youngest child is a Selkie. The other is a tale of character who steals her son's emotions and those of others, turning them to stone, so as to relieve them of the emotional pain they feel. The Selkie's song is the key to fixing this situation, but it's something of a distraction from solving the Selkie's own situation. It is refreshing to see a film true to the filmmaker's ethnic roots, as opposed to American films like like Aladdin or Kung Fu Panda, which appropriates other people's roots. And Moore and art director Adrien Merigeau are to be commended for the look of the film and for maintaining consistency though production occurred at studios in several countries. Any year that has given audiences The Tale of Princess Kaguya and Song of the Sea has to be counted as a good one. Forget all the upcoming awards that will probably overlook these two films beyond the nomination stage, assuming they are recognized at all. These are the ones to see. They are both deeply felt and personal to the filmmakers. I've grown increasingly bored with North American feature animation in the areas of design and story and it's satisfying to see that the rest of the world is willing to go its own way. 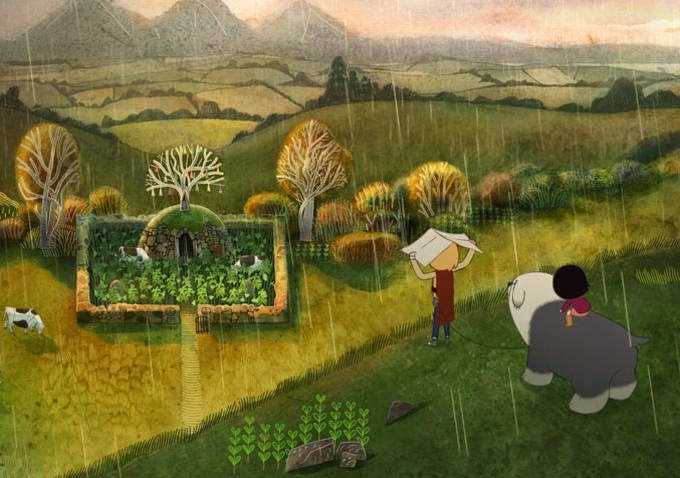 Beautiful cartoon, but John Sayles' "The Secret of Roan Inish" is a better film.